Just look at this puppy! 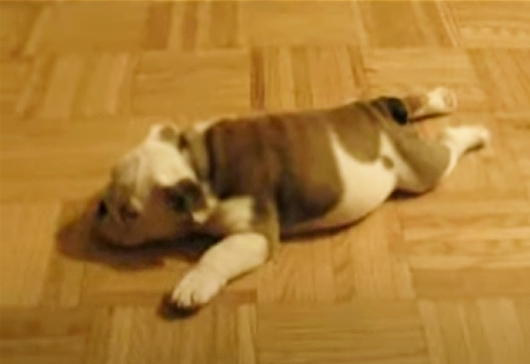 Justice, the bulldog, is really tired but insists on playing. It’s time for sleepy time. Previous postDolphin Stampede – Absolutely Amazing!